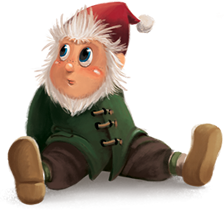 When a terrified gnome is stranded on Earth, fourteen-year-old Allie Thomas enlists the help of a powerful, yet unconventional, Guardian to save him. …an incredible journey through whimsical, frightening, and dreamy worlds, combined with a friendship that is so down to earth you’ll walk away with a memory of the characters as if they were your own real friends. What a lovely book, not only for children, but for adults. I was on vacation when I read this and I didn’t put it down until I was done with it! I loved the characters, the story and the message. Highly recommend! 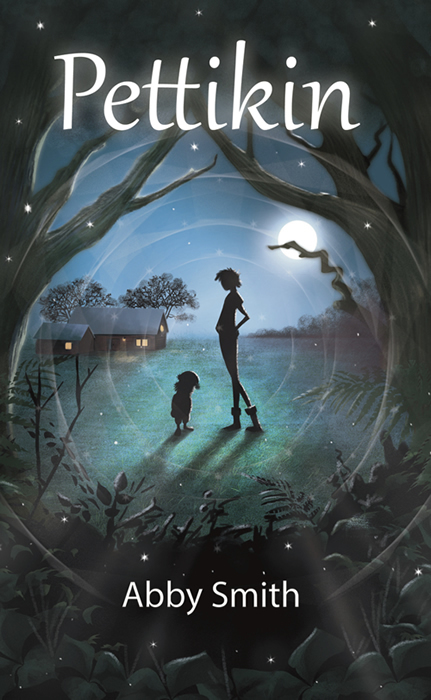 Pettikin is a novel that feels familiar and magical, much like the world its young heroine inhabits. From the very first page, the twin realms of youthful reality and magical possibility allow the reader to enter a world they can relate to, while inspiring them to gleefully flip the pages as a twin universe beyond their imagination unspools. Aunt May’s funeral was strange, but things get stranger when fourteen-year-old Allie Thomas encounters Pettikin Periwinkle, a gnome with a love of sweets and a penchant for screaming, who is stranded on Earth after the death of its only Gatekeeper. To get Pettikin home, Allie must enlist the help of a powerful, yet unconventional, Guardian and prove to him that she has what it takes to be a Gatekeeper. With three alpacas to guide her, a month’s supply of cookies, and zero training, she sets off with Pettikin through three secret realms. But there is a Contractor here working with the evil race of sslorcs to stop her. And on top of that, she just might be falling for the Guardian. 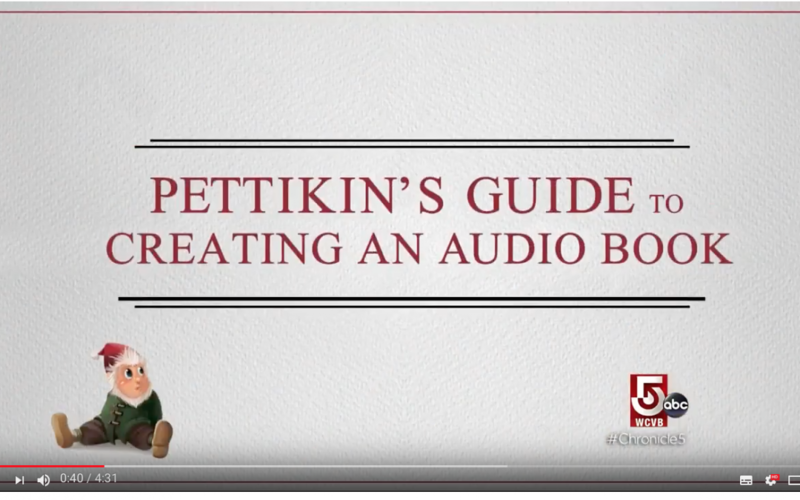 Join our mailing list to learn about upcoming events, and be the first to read chapters from the upcoming Pettikin sequel! I LOVED the humor – seriously found myself snickering out loud. I am so excited for this book to come out! My daughter read an early draft and loved it, compelling me to pick up the book. While geared to Middle Grade readers (ages 9-12), both my kids (aged 8 and almost-11 now) and I love it and have read it several times. This book is really inspiring, and a bright light shining in the darkness. If you have a heart, you will love this book. 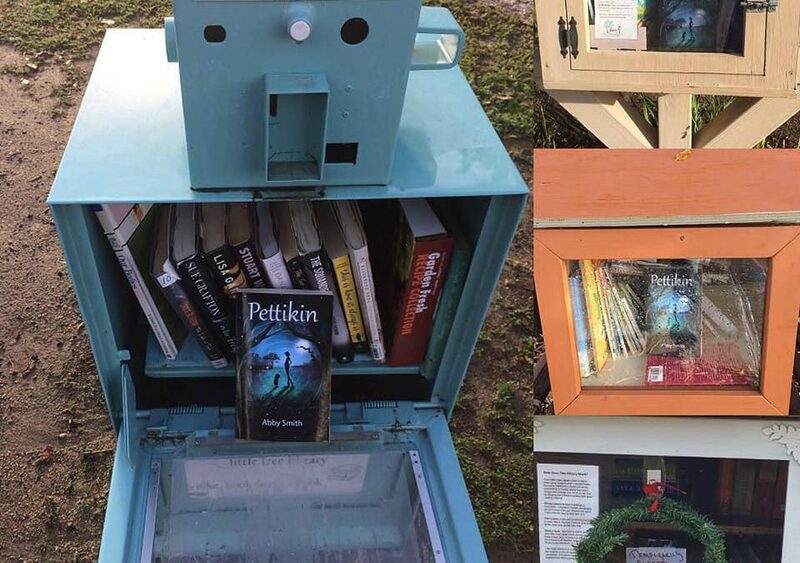 Pettikins are waiting to be read at your local Little Free Library in Temecula, CA!